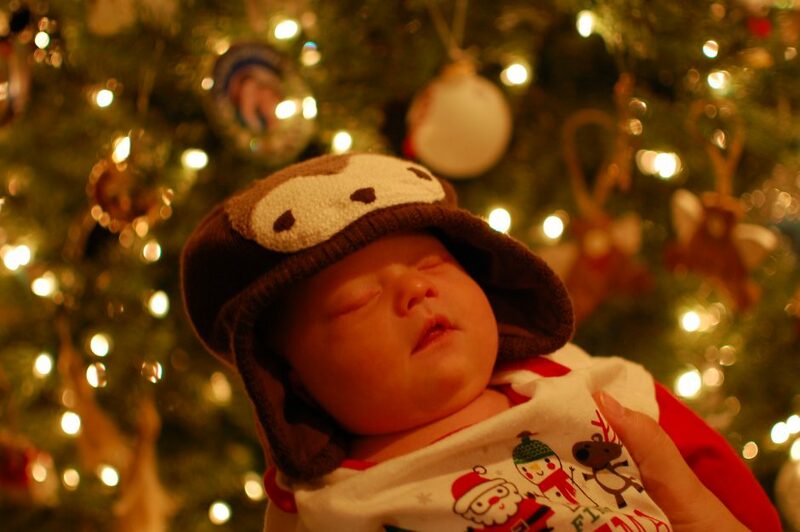 A little over seven years ago we were surprised to learn, ten days before Christmas, that our first born son was going to be born with Down syndrome. (You can read his birth story here.) 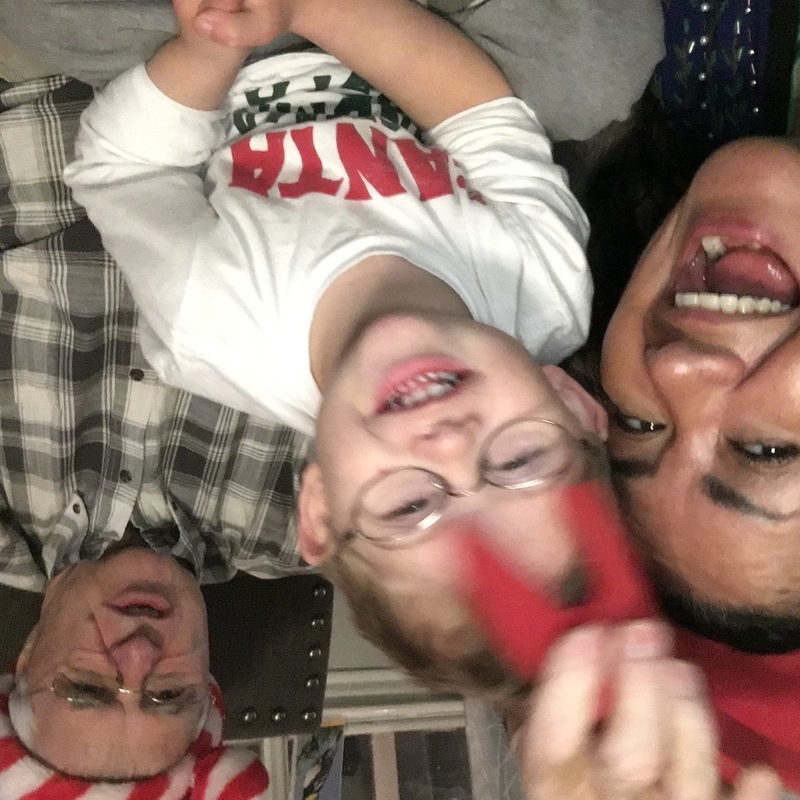 We had absolutely no idea that Noah was going to be born with Down syndrome, and (candidly) having a child with special needs wasn’t nesscerjaly on our Christmas wish list. I don’t mean that in a mean way, we love Noah and he is, without a doubt, one of the best gifts in our life, but we probably wouldn’t have written having a child with special needs in to our story, if we were the ones writing our own story. All of that to say, we wouldn’t change a single chromosome on him. We love him sooooo much! Needless to say, our first Christmas was different than we expected. 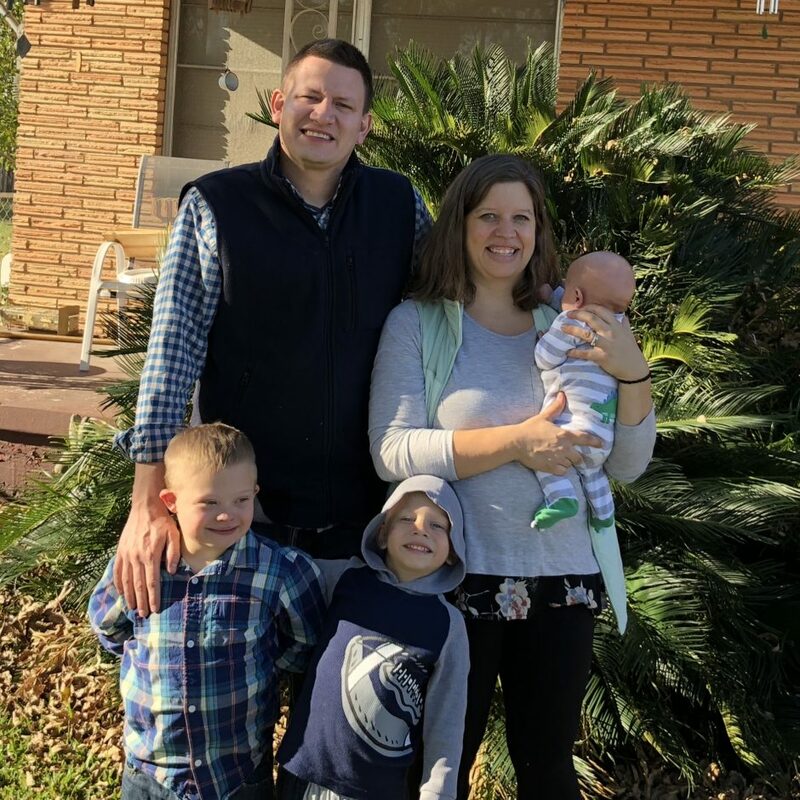 Not only was Noah born with Down syndrome, but his newborn screening test came back positive for Glutaric acidemia, type 1 (GA-1)...(which was scary)…that later ended up being a false positive. 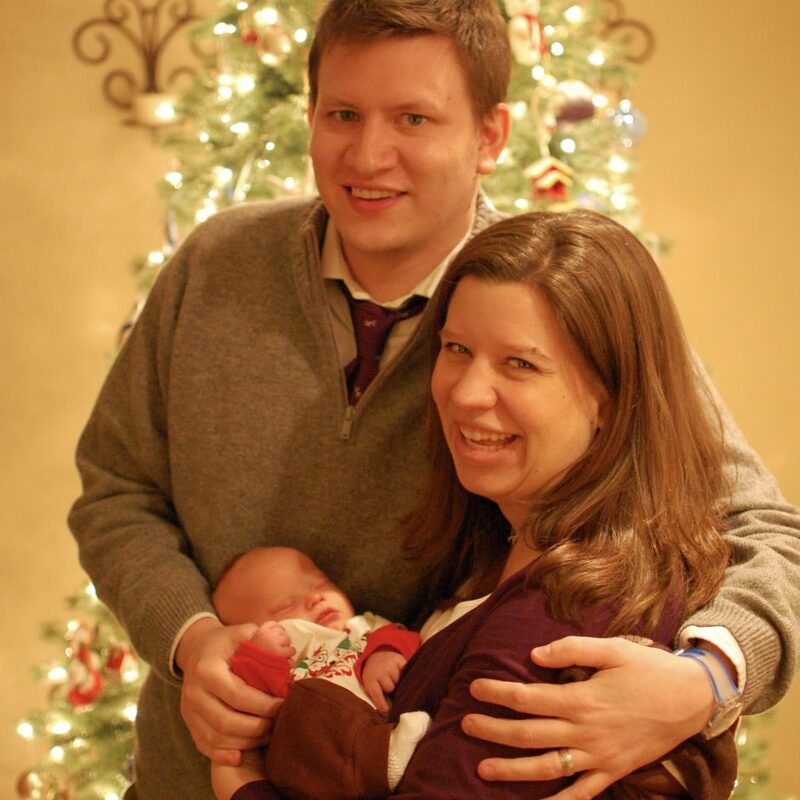 The Christmas a few days after Noah was born was a much different Christmas that I expected. It was a good Christmas, we were new parents of a little boy we loved, so I’d say it was a great Christmas, it was just an unexpected one. With the amount of people that follow our story, the odds are that someone reading this is going through an unexpected / hard Christmas this year. Perhaps you’re alone this year, or dealing with an illness. Maybe you recently received a Down syndrome diagnosis and you’re working your way through that. Perhaps you lost your job recently, or your finances aren’t looking good this year. Maybe there are no gifts under the Christmas tree this year (and maybe there isn’t even enough money to buy a Christmas tree this year to put presents under…if you had any) you’re feeling bad about what Christmas is going to be like for your kids this year. In other words, this Christmas doesn’t feel like your best Christmas. If that’s your situation, if this Christmas is a hard one for you, I want you to know you’re being thought of this morning. I prayed for you this morning. You may be reading this and don’t consider yourself religious, that’s ok. I just wanted you to know you were being thought of, and to remind you that you aren’t alone, even though you may feel like it at times. If you ever feel like you’re alone, or that you don’t know how you’re going to get through this season, I want you to remember what Christmas is really all about. You know that baby “boy” that was born in a manger? The one you see in the nativity scenes? He was much more than a cute baby that got some gifts from some wise man. As that verse says, he is a “Mighty God” and He cares greatly for you. You may not always feel that He does. You may even wonder if He sees you and all that is going on in your life. Let me assure you, He does. He sees all of your worry, all of your pain, all of your stress. He sees it all, and He loves you. He cares for you. You can give all of those problems, concerns, and worries to Him this Christmas. During Christmas, Jesus came down to Earth. He came to be among us. He came to be with us. Christmas is proof that Jesus is with us. Because of Christmas we are never alone. Speaking of “unexpected Christmas” imagine Mary (from the Bible.) My guess is she had no idea she would be giving birth to the Savior of the world. That she would give brith to the One who would change all of our lives if we would only believe in Him. But even though she was living through an unexpected Christmas, even though her situation was a surprise to her, it wasn’t a surprise to God. Mary could trust God. And no matter what you are going through today, you can trust God, too. As you’re scrolling through your Facebook or Instagram account the Christmas and seeing all of the fun that other people are having, and you aren’t. All of the smiles people have on their faces, as you wipe away tears, I want to remind you once more…that baby in the manger (Jesus) sees you…and He cares! If I (Noah’s Dad) can ever be of any help, or encouragement, to you. Or, if you have any questions about the true Christmas story, contact me. Oh, and if you ever think you’re all alone, you aren’t. If got five friends over at our Smith house, a community of thousands on our Facebook Group! Prayers to you this blessed holiday! We have our own unexpected special blessing now 15, a gift to us all! Wishing you a wonderful holiday! Thanks for the comment, and Merry Christmas to you and your family! This the first Christmas without our Brother, Chuck. It just does not feel right. Imagining him in the presence of our Lord and Savior, with the wonder of joy and love is of comfort, as he certainly was and is an Angel. However, our hearts are sore missing him. We had him for 64 years, somehow not long enough. I’m sorry about the loss of your brother. I hope that despite the loss, you can enjoy the hope of Christ this Christmas season! 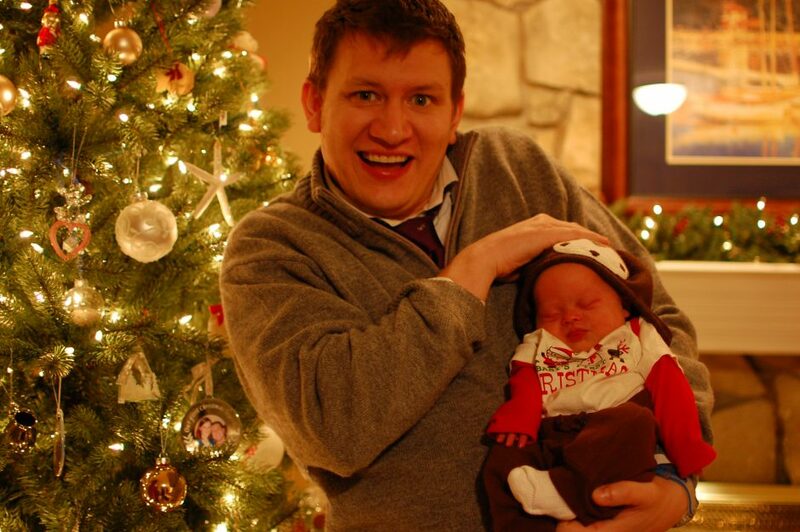 This post is about the true meaning of Christmas and made my heart grow ten times bigger! Our own Sullybear (First grandbaby) was a surprise born in 2014 and he has blessed our family with his presence in ways we cannot imagine. Thank you for sharing Noah and your lovely family with us! Merry Christmas to all of you and continued blessings! Thanks for the encouraging words! Merry Christmas to you and your family. My son was born December 10th, 2017. We had a very early indication that he would be born with T21, but he was also born premature and had to have a serious surgery at 3 days old. He had been transported 2 1/2 hours from home. 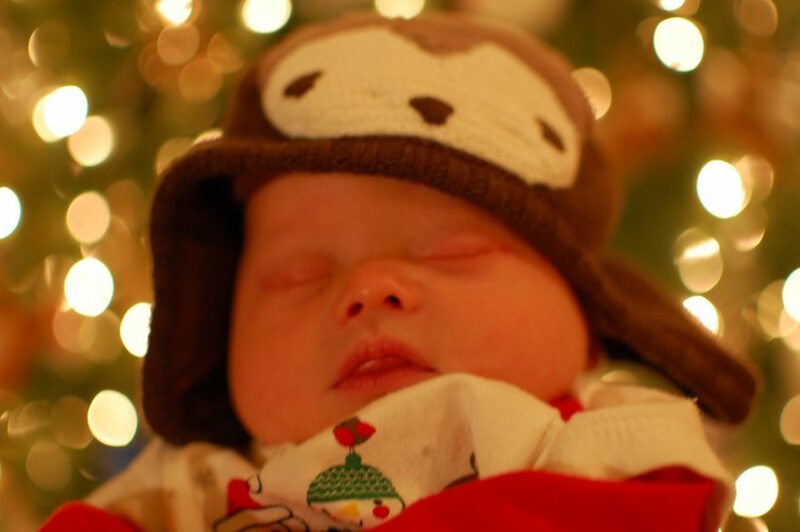 We spent Christmas in the NICU, and it was very scary and very tough. 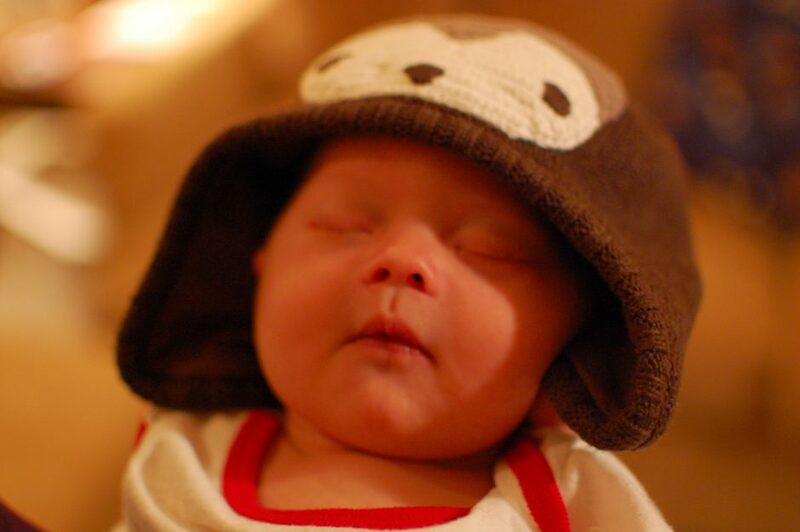 I came across your blog through Pinterest and clicked in because your son as a newborn resembles my son so much! I’m so glad I did, because it gives me comfort to know that we aren’t alone and that there will be so much more joy to come (and there has already been a LOT of joy). I look forward to next Christmas and many more to come. Thank you for sharing your family’s story!